India Post Payments Bank (IPPB), the payments bank arm of the postal department that was launched last Saturday, has been using QR code cards, charging users a nominal fee of Rs 25 per transaction. 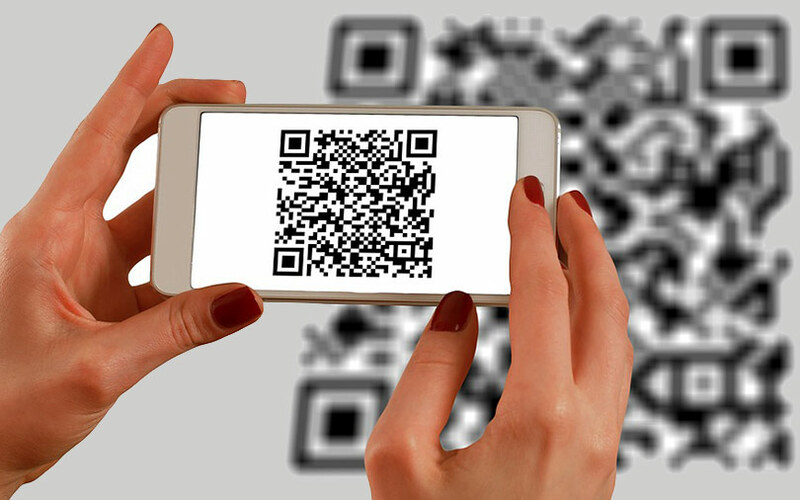 Industry experts and analysts said that using QR codes is one of the most efficient ways to use technology for the government's financial inclusion initiative. Though digital transactions, which will outpace credit and debit card transactions, have grown exponentially after demonetisation, they mostly happen in cities and more developed areas, Pavel Naiya, a senior analyst with Counterpoint Research, said. “The IPPB QR code system is aimed at the hinterland and rural areas where there are not many ATMs and many people still have to rely on post offices," Naiya added. The QR code solution is aimed at daily wage workers who might have to suspend one day's work to go to the post office. They also need help making ATM transactions, he said. “The entire concept of postmen and QR Code cards solves these problems. In fact, the QR code has the account number of the person embedded so that he or she doesn't have to remember it," he explained. IPPB's chief executive Suresh Sethi has said that nearly 300,000 postmen and postal service employees will carry mobile phones and biometric devices to people's houses to help them with QR code banking. The postmen have been trained to help the unserved citizens, he said, adding that all 155,000 post office branches will be connected to the IPPB system by year-end. IPPB's home banking service allows users to send money, limited to Rs 1 lakh, through a mobile phone after they authenticate themselves by scanning the QR code card shared by the bank on a biometric device. It has also partnered with other financial organisations to offer credit services as well. According to Naiya, the IPPB's move to use QR code makes sense because the organisation can take advantage of India Post's vast last-mile connectivity network and can also exploit the option of linking a post office savings account to the IPPB. Harish HV, a former partner at professional services firm Grant Thornton, also said that India Post’s reach will help the IPPB. "They will do well because of the reach they have which the nationalised banks or the other payments banks don't have. Also, they will have the consumers’ trust and customer acquisition is not going to be a challenge. They have been running a postal savings scheme and the payments bank is in some ways an extension of that," he explained. Vivek Belgavi, partner at professional services company PricewaterhouseCoopers India, said that the government needs to spend less on setting up the acceptance points for QR codes. “It is the right match for transactions that have a relatively smaller average ticket size," he said. India has 8 to 12 million QR code acceptance points as compared to point-of-sale machine acceptance points, which are used to process card-based payments, Belgavi explained. According to Naiya, when the government had to create a payment infrastructure for cards, it had to ensure there were more ATMs, that partnerships with card carrier networks were in place and it also had to teach consumers how to use them. The IPPB has had it easier. "Instead, they already have a workforce which can reach the consumer and they can be trained. This brings down the cost of creating infrastructure," he added. Bala Parthasarathy, co-founder and CEO of lending app MoneyTap and who was previously a partner with venture capital firm Prime Ventures, agrees with Naiya's analysis. "With Aadhaar, UPI and the QR codes, you don't need to spend any money on infrastructure. By the time this scales, we will add another 300 million smartphone users and this seems like a safe bet. It is all about educating the bottom-of-the-pyramid masses and people in semi-urban and rural areas. There is no better agent than India Post," he said, adding that IPPB's usage of the QR code might open up partnership opportunities for startups in the future.